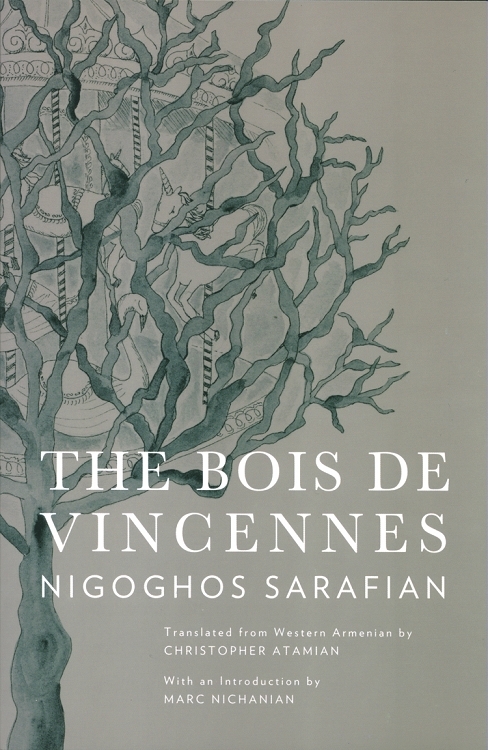 The Bois de Vincennes is one of the Armenian diaspora’s most original literary masterpieces. The book is a personification of a park on the outskirts of Paris that tells the history of the Armenian people in a reflection on love, frustration, war and philosophy. It is a complex attempt to understand the remarkable and tragic history of the Armenians in the twentieth century—a book where trees become murderers and saints and where world history and personal history unite. Nigoghos Sarafian, born in 1902 in Varna, lived a fascinating life that took him from his birthplace in Bulgaria to Constantinople, where he studied under Hagop Oshagan, until 1923, and finally to Paris where he lived and wrote until his death in 1972. In 1930s Paris, Sarafian belonged to an innovative group of young writers who called themselves the Menk (We) Generation and explored themes of assimilation and exile in their writing. A poet and novelist strongly influenced by the French surrealists of his time, this is the first translation of Sarafian's work into English.